I was asked to create branding and website for SOL Promo – a platform, created to promote professional artists who offer high quality music product. At first I created 3 drafts for the logo in different styles. One of them was chosen, developed and adjusted to meet the client’s requirements and expectations. 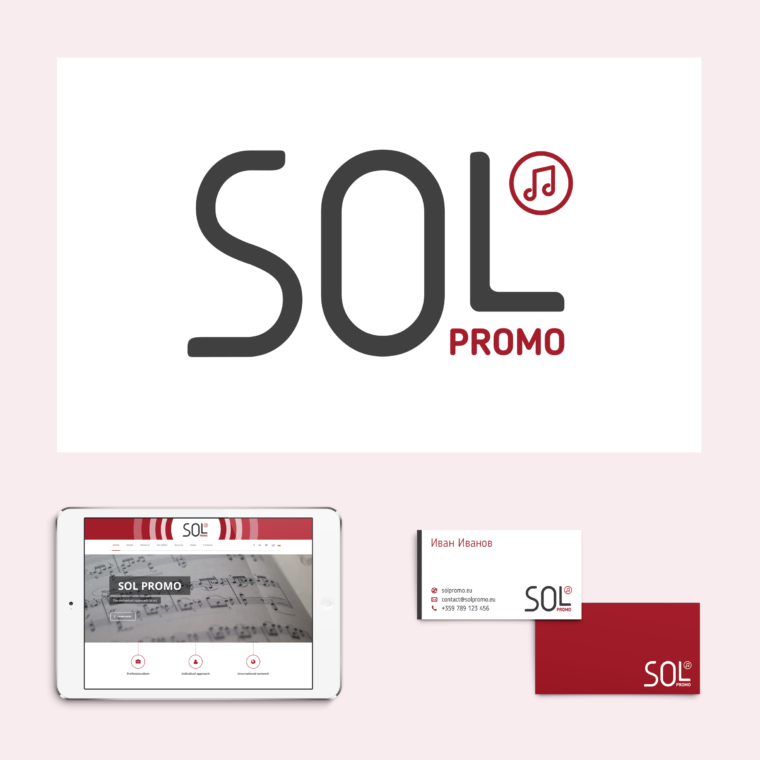 Dark red was used as main branding colour to reflect the energy, passion and high quality of the music produced by the musicians SOL Promo promotes. Then I moved on building the website with clean and simple design which focuses on the content, but also gives identity. You can see the branding in use on their website.